I came home today to find two packages waiting for me. With all the sending yarn out that I’ve been doing, it was nice to get something in the mail! I swapped some alpaca yarn for a copy of Best of Interweave Knits through LiveJournal’s knit-swap group and I had purchased 4 skeins of Wildfoote sock yarn from someone on Ravel-crack Ravelry. 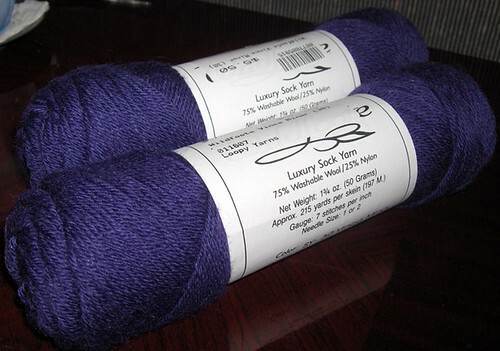 Here’s some better photos of the yarn – much more accurate colors. I’ve been wanting to try this yarn, but every time I have seen it, it’s been multi-colored or two colors twisted together. I wanted some of the solid! 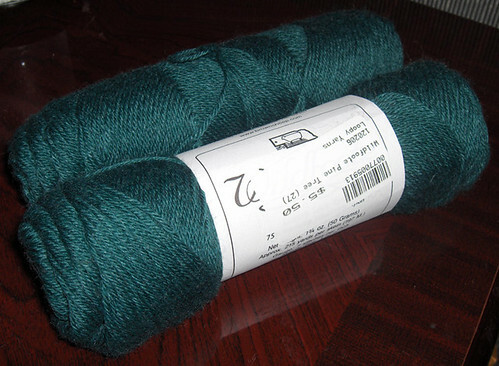 Now I have some to try out and I’m looking forward to knitting with it. I’ve been wanting Best of Interweave Knits since I knew it was coming out and now I have a copy of my very own. There’s at least 3 patterns I want to make, but probably more than that. Some of the patterns I already have, but I like that they’re all in one book instead of a bunch of magazines. The socks look great! 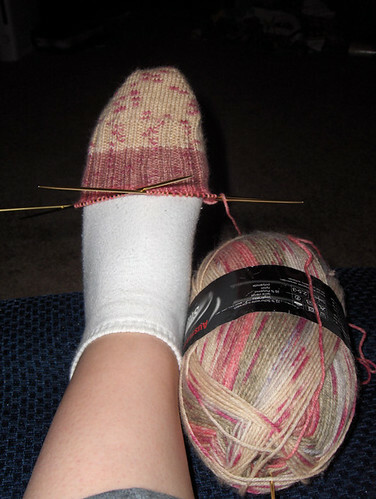 I love the yarn you got too. Yay that your book came. That’s exciting! I split off the sleeves on Wicked. There was some confusion, but I think I have it figured out.